The Japanese brewer is adding iconic London Pride to Peroni and Grolsch in its cooler. Paying a sudsy 24 times EBITDA for Fuller’s beer signifies the need for upscale and craft ales to keep up with liquor rivals. 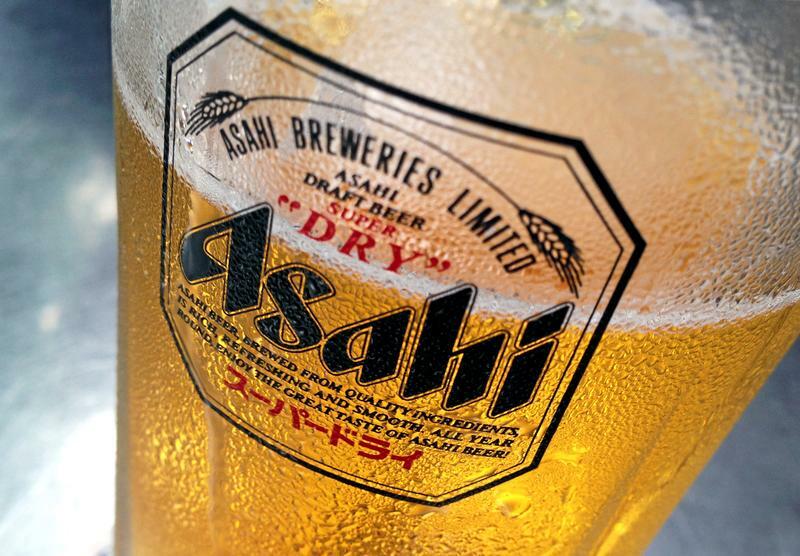 Cheap money should help make the deal go down easier for Asahi. Condensation collects on a glass of Asahi beer at a bar in Singapore October 23, 2015. Japan’s Asahi said on Jan. 25 it had agreed to buy the beer and cider business, including the renowned London Pride brand and brewery, from Britain’s Fuller, Smith & Turner for 250 million pounds ($330 million) in cash. The operation generated about 102 million pounds in net sales and 6.8 million pounds of operating profit in the year ended March 2018. Asahi said the deal is not expected to have a material impact on its financials for the year ending December 2019. Fuller said it would return between 55 million and 69 million pounds of proceeds to shareholders, and focus on its pubs and hotels. Fuller shares rose 15.5 percent in London at 10.50 pounds apiece on Jan. 25 while Asahi’s fell 0.5 percent to 4,347 yen in Tokyo.